The Griptilian is born of custom knifemaker Mel Pardue's passion for functional designs. You release the creature's ferocity with a thumb stud. 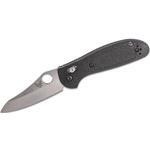 At the very heart of the Griptilian, is the exclusive AXIS locking mechanism. This modern marvel gives life to a cutting tool like you have never experienced before, especially in a lightweight folder. Rock-solid ambidextrous function is sure to tame the most die-hard of traditionalists. And you can grab onto the lightweight, handle with its grip-textured surface and rib covered spine that grabs you right back for a "can't let go" grip. 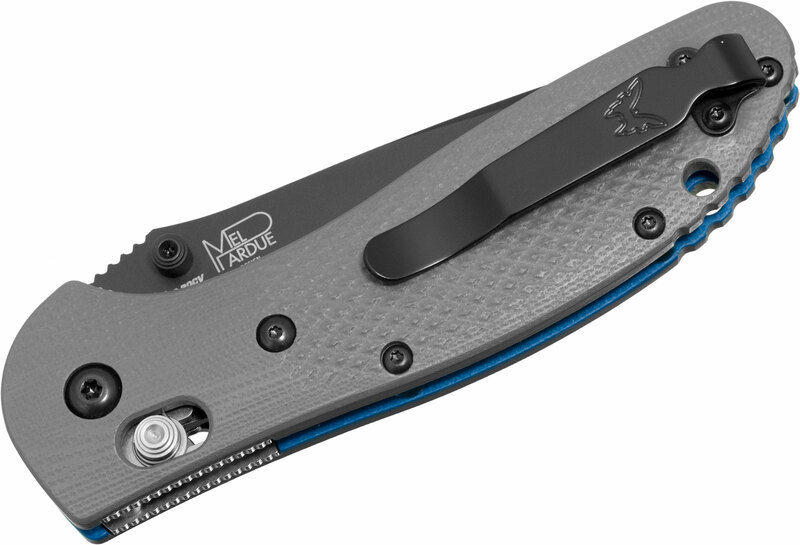 The model 551BK-1 comes with gray G10 handle scales, blue G10 accents, blue barrel spacers and a reversible deep carry pocket clip for right or left side carry. The blade steel has also been upgraded on this model to CPM-20CV stainless steel. 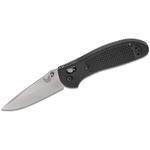 CPM-20CV is virtually identical in chemical composition to Benchmade's current M390 steel but is made in the US by Niagara as opposed to Bohler which is based Austria. 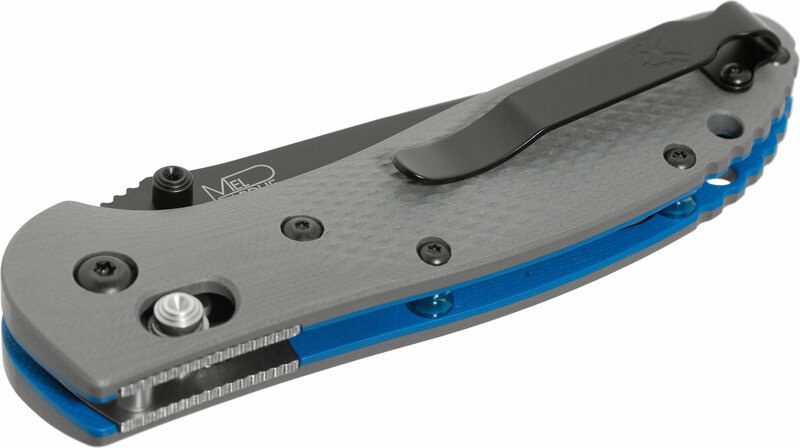 It offers better edge retention but is not quite as tough to resharpen as M390. 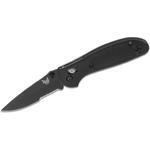 Hey, I wanted to share "Benchmade Griptilian Folding Knife 3.45 inch CPM-20CV Black Drop Point Plain Blade, Gray G10 Handles" with you from KnifeCenter.